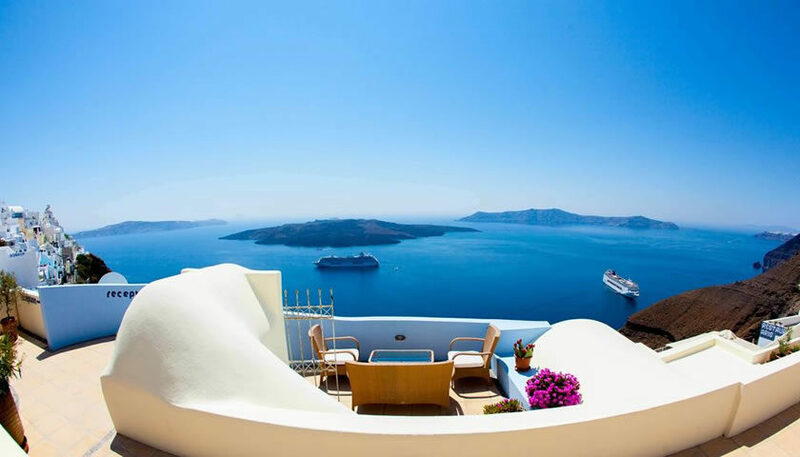 Enjoy your stay at the traditional Cycladic style studios and suites with uninterrupted caldera views, located at the edge of Fira cliffs, without spending a fortune. There is an outdoor swimming pool and a bar. 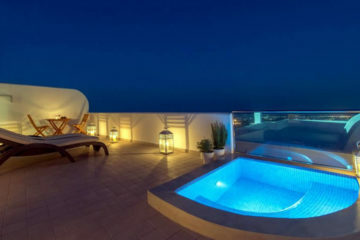 Specify the dates of your visit to Santorini to check availability and prices of Panorama Studios and Suites.